TV12 is a Swedish television channel with a mix of sports, lifestyle and entertainment programming. It launched in March 2014 and little more than a year later it decided to relaunch itself yet again with more focus of sports, comedy and films. This included a new logo and graphics package, developed by Stockholm-based Chimney. The previous graphics package (covered here at the time) which positioned TV12 as lifestyle channel has been replaced by a decidedly broader look dominated by orange and circles. The graphics are intended to be playful and idents feature "unexpected" juxtapositions. The Peabody Award is an American award given to people who've made distinguished storytelling efforts in radio and television. New York-based Loyalkaspar recently finished an overhaul of the award's brand identity as part of an attempt to increase public awareness and extend its activities beyond the once-a-year award show. Loyalkaspar gave the award its own logo that works independently of the well-recognised gold medal. It is designed to be modern yet timeless. The tagline "Stories that Matter" positions the Peabody Awards as a brand "that invigorates people, culture, and society through the transformative power of stories". Loyalkaspar developed a full brand identity including collaterals and a graphics package for this year's awards show telecast. The 2020 Olympic Games will be held in Tokyo, which was awarded the right to host the event almost two years ago. Last week, the organising committee presented the official emblem that will represent the games. It replaces the the bid logo that has been used up until now. The emblem was designed by Kenjiro Sano, who runs a bureau called Mr Design. According to a press release, it symbolises "the world coming together as one", with the central columns representing diversity, the circle an inclusive world and the red "the power of every beating heart". You can also make out the letter T which stands for "Tokyo, tomorrow and team". The inverted version for the Paralympic Games creates an equal sign. Some of the companion artwork used when the emblem was presented shows the different shapes in the symbol taken apart and recombined in a grid pattern. It remains to be seen if that will be a part of the overall design for these games. Last month, the main news from Norwegian public service broadcaster NRK launched a new look, including new graphics, titles, studios and music. The first overhauled edition of the flagship programme Dagsrevyen could be seen on Norwegian television screens on June 17. 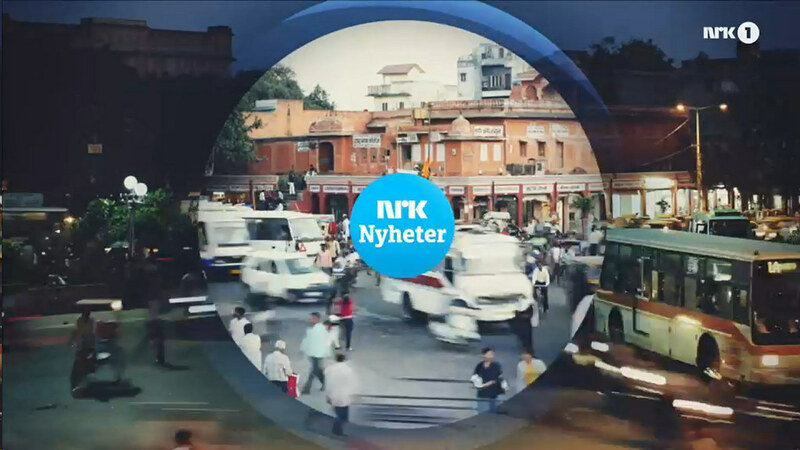 This is the first major visual update for NRK's news programmes since 2007, when they were overhauled with help from London-based branding agency Kemistry. They were brought back this time to advice NRK's in-house team on strategic design. The unconventional title music was composed by Norwegian electronic music duo Røyksopp and aids in giving NRK's news a distinguished identity. In a report on its new look, NRK's design team says they sought rejuvenation to lure a younger audience and to keep a consistent and clear look across platforms. Finally, here's the logo round-up for June 2015, a surprisingly busy month with lots of high-profile logo changes, including Facebook, Italian airliner Alitalia, IHOP restaurants, some TV channels and many more. The Ultimate Fighting Championship, known to its fans as UFC, is the world's dominating organisation in the sport of mixed martial arts. It organises championships and produces events for the sport. Over the weekend, it launched a new visual identity, developed with Hollywood-based motion branding agency Troika. Overall, the new identity should feel premium, electric and lionhearted; UFC's brand attributes. It also places the competitors at the centre. UFC is a sport that is usually enjoyed on television and an important part of the new branding was a new graphics package with innovative ways of providing information to the viewer. The logo has been given a slight update, but the brand architecture has been given a thorough redesign with consistent logos for UFC's products and other activities. Heidelberger Druckmaschinen is a German manufacturer of printing presses, a world leader in its field with more than 12,000 employees. It has a history stretching back to a manufacturing company founded in 1850 and has been based in the south-German city Heidelberg since 1896. Last week, it was given a new visual identity, created by the Peter Schmidt Group who also gave the company direction on product naming. In addition to the new logo, Peter Schmidt Group also developed a set of pictograms that illustrate the company's activities. The refreshed logo features three colours for the company's three main divisions. The initial H has been made distinctive enough so that it can be used separately as a brand icon. Switzerland-based Logitech is well-known for its affordable accessories for PCs and other electronics. It is now moving on beyond that legacy and as a result it introduced a new brand logo today, developed with brand design agency DesignStudio (of AirBnB logo fame). In addition, some new products will now be marketed under a new "Logi" name, dropping "-tech" in the process. The new logo, based on geometric shapes, is designed to be future-ready and versatile. It is based on the Brown Pro typeface, incidentally designed around the time Logitech was founded in the city were it is based, Lausanne, Switzerland. Beyond the logo, the new look, indeed its entire product lineup, is marked by bold neon-like colours. Logitech wants to put design at the centre of what it does and has hired a dedicated executive in charge of design. 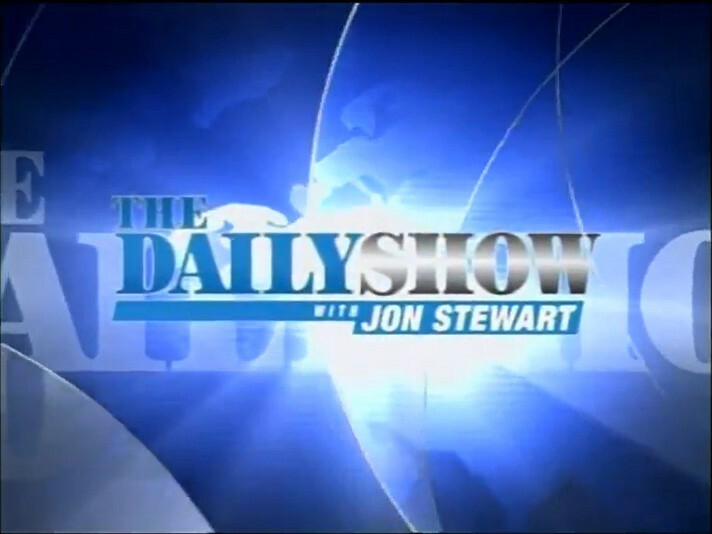 Jon Stewart will soon leave The Daily Show after sixteen years in the hosting chair, which is a good reason to bring back an old piece of broadcast design once made for the programme. Back in April 2000, a little bit more than a year into Stewart's tenure at the anchor desk, the show received a new graphics package and a general refresh. At the same time, new music cues performed and written by alt-rock band They Might Be Giants, were introduced along with a new rendition of the show's theme tune (also performed by TMBG). The new titles were created by Pittard Sullivan, which at the time was a quite large company and a world leader in broadcast design. The Daily Show has always sought to mimic cable news in its graphics and this graphics package managed to reproduce that period's level of slickness. Earlier this year, US personal care products company Energizer Personal Care changed its name to Edgewell Personal Care. The company is in the process of being spun off from Energizer Holdings, best known for its batteries, which necessitated this rebrand. The new corporate identity was developed by Beardwood&Co in New York. Beardwood&Co came up with the name, which conveys being on the cutting edge. The company is primarily known for its razor brands, including Schick and Wilkinson Sword, and edges are of known importance to such products. The company symbol is a humming bird, which are described as "small, agile and innovative", qualities that Edgewell wants to be associated with. Other collateral uses a blue-green "glow of innovation" as a visual theme. Beardwood&Co also designed to company website, which launched this week. Launched in 2008, Alibi is a British television channel dedicated to crime and procedural series. Yesterday, it launched a new graphics package and refreshed visual identity, designed by London-based motion design studio Art&Graft. The studio took an evolutionary approach to give the channel a premium feel. Their solution features red strings that symbolises crime narratives, with a detective's pinboard used to convey information to the viewer. In the channel idents, the string runs through different environments, presenting evidence within a scene. The logo was given a subtle typographical update.